3D printing is a hallmark manufacturing technique for rapid prototyping, however in more recent years it has taken on the role of a primary production method. A print farm is a group of 3D printers that run simultaneously and as continuously as possible to increase production rates of printed parts. In order for a print farm to function at high efficiency, it is essential to minimize printer down time. Two factors that limit print farm efficiency: lack of printer automation and printer reliability. The machines need to run for long periods of time without failure or depletion in part quality, and transitions between prints need to be as seamless as possible. Without these key automation and reliability factors, managing large quantities of printers can become tedious and time consuming. Markforged printers have several unique features that make them ideal for running a print farm. In fact, Markforged houses its own print farm, where 25 printers - a mix of Onyx Ones, Onyx Pros, Mark Twos, and Mark Xs - crank out thousands of sample parts each week. The print farm produced 10,500 sample parts just in the month of May, with a yield rate of about 92%. 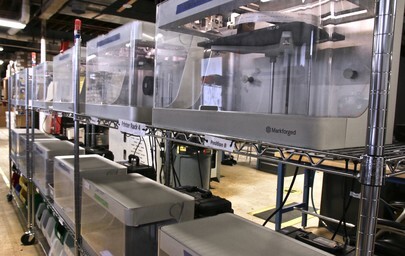 The unique marriage of quality software, hardware, and materials across Markforged products makes this small factory not only effective, but straightforward to implement. 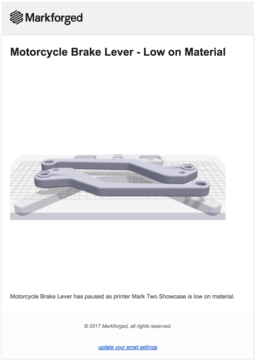 To start, Markforged employs streamlined communication across every component of the 3D printing experience. Liveprint monitoring in Eiger allows the freedom to leave many printers running unattended. ‍‍With live print monitoring, users can track their prints and receive notifications when jobs are completed or if any utilities require attention. The newly updated print queue functionality for each printer allows large sequences of prints to be organized across many different printers and managed with ease. Additionally, out of material warnings keep track of filament supply to ensure that someone is readily available to replace the spools when they run out. ‍The Mark X has the capability to sense exactly when filament runs out. All other Markforged printers use the weight of the filament spool to estimate when it will run out so users can get the most out of their material. On the hardware side, the kinematic coupling that secures the build plate of all Markforged printers allows the plate to be removed and re-installed with up to 10 micron accuracy. This minimizes the need for bed releveling so less time is spent calibrating and more time is spent printing. The hardware is designed for continuous use so all printers are prepared to run for long hours without risk of overheating or mechanical failure. 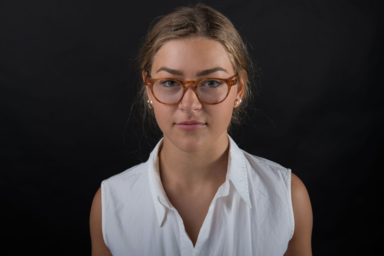 Our materials provide another advantage in print farming. The resolution of our printers and the quality of our filament ensure production caliber surface finish that requires minimal post processing. All materials and processes are office friendly, so no special facilities or disposal procedures are needed for operation. In the Markforged print farm, one person is responsible for removing parts from print beds and setting up the printers for their next job. This person cleans the print beds daily and runs utilities twice a week. They also carry out maintenance jobs, such as nozzle replacements and calibration, when required. The print farm mimics the nature of all Markforged products; user friendly, clean, and astonishingly quiet. Because the print farm setup is so easily implementable, it can be replicated even in an office environment. We have found that Trinity wire racks work great for our print farm because they can hold four printers and four dry boxes with additional space available on the bottom shelf for tools and bins to organize finished parts. Up to 8 printers can be powered on 120 volts and 20 amps, standardly provided by most building codes in the United States. 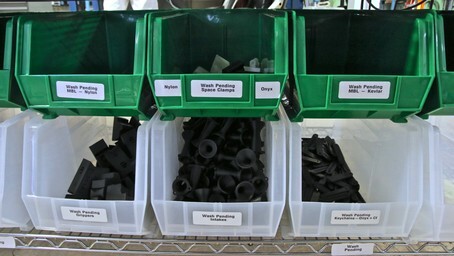 ‍‍After support material is removed, parts are organized in bins by material and design. The parts are then washed with warm water to dissolve the glue that is used to adhere material to the build plate during printing. Our print farm is a nearly fully autonomous factory, boasting 75% uptime over a 24 hour day running six days a week. No mess, no fuss, no sound, no smell. Just high quality parts made possible through the fully integrated Markforged ecosystem. 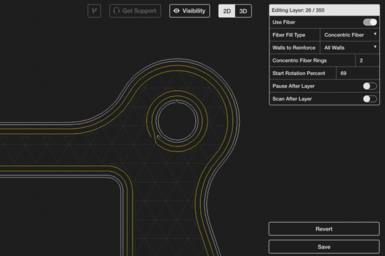 Experience a Markforged printer firsthand by requesting a demo! Mark Two industrial strength 3D printer leverages the Markforged software platform, Eiger, for carbon fiber 3D printing.